Prince Edward Island’s J.J. Chaisson is without any doubt a talented multi-instrumental musician. He has collaborated on award winning recordings, acted as front man for a Celtic rock band, and toured widely as a solo artist. It is not possible to put into words what this young man does with his fiddle and guitar. Born into the well known and respected Chaisson family helped to immerse J. J. in the world of traditional music from an early age. He began gracing halls and stages across the Island when he was barely able to touch the floor while sitting in a chair; word spread quickly about this young prodigy. While still in high school, J. J. and his cousins formed the Celtic Rock band known as “Kindle”. This group was recognized with a nomination as Best New Group at the 2000 ECMA’S and a nationally televised performance at the awards show. The group traveled widely throughout Canada and into the USA. J. J. served as front man on fiddle and as a vocalist and he continued to astound audiences wherever he performed. In 2002 his second CD was released and entitled “Class Act”. This CD again showed his enormous talent on fiddle and introduced his listening audiences to his skill as a guitarist. J. J. continued to travel widely and audiences continued to want more and more of this delightful performer. His personality is equally as powerful as his playing and he reaches out to young and old alike with smiles and endless jokes and stories. J. J. is now married to the love of his life Julie MacDonald Chaisson . He is captain of a lobster boat aptly named “Chaisson a Dream” and he loves his time at sea. He fishes the cold Atlantic from May 1st until June 30th each spring for lobsters now entering his 11th season as Captain. Before being captain, he worked as a helper for 4 years. He has knowledge and experience in other fisheries such as snow crab, Jonah crab, mackerel, and herring. When the fishing season ends, the music season begins. 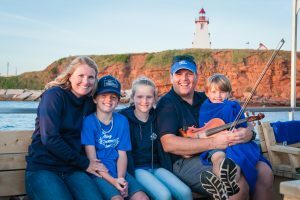 He plays at locations across Prince Edward Island throughout the summer and travels off Island whenever the opportunity arises. In 2007 his daughter was born and her birth was inspiration for the title of his latest CD. 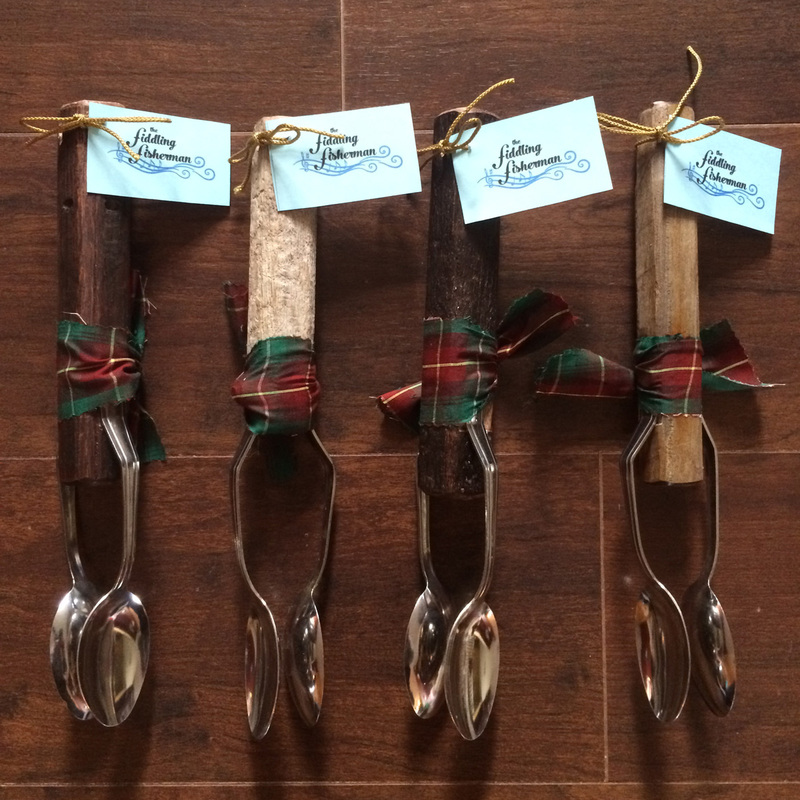 “The Gift” was launched in 2008 at the Rollo Bay Fiddle Festival. It features many of J. J.’s original tunes and of course has one of the most touching tributes ever written. The rousing “Ella Rose’s Reel” in honor of his daughter is a great way to start things off and the tribute to Captain Charlie Campbell entitled “Seas the Moment” is beyond words. This latest CD offers yet another look at the many facets of talent this young man holds and is an Instrumentalist of the Year award winning recording at the PEI Music Awards. J.J. has traveled widely across Canada, into the USA and Denmark where he WOW’s crowds with his amazing talent on the fiddle and guitar. His latest accomplishment was being asked to perform at the Guitar Summit for Celtic Colors 2014 in Cape Breton. This was a huge honor for him. He played alongside J.P. Cormier, Tony McManus, Dave MacIsaac, Scott MacMillian, and Quinn Bachand. A group of accomplished and well known guitarists. He received a stand ovation for his performance. He, along with his brother Koady, and cousins Darla MacPhee and Brent Chaisson were chosen to have a set from their Celtic Colors performance in Inverness, NS included on the 2014 Celtic Colors Live CD. Another thrill for J.J. has been playing guitar in Natalie MacMaster’s band on numerous occasions. 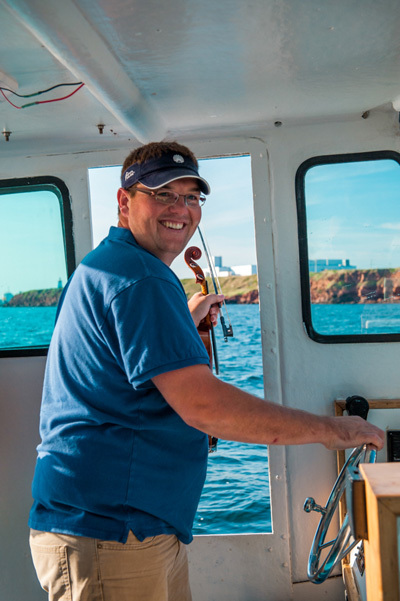 So, imagine if you can, the experience of sailing on his boat “Chaisson a Dream” and listening to this master play as you sail the seas off the coast of beautiful Prince Edward Island! J.J. is not only a master on fiddle and guitar, he is also a man that loves to share stories, jokes and laughs. He will have you smiling from the moment you step on the boat. You will leave with memories that will last for a lifetime!